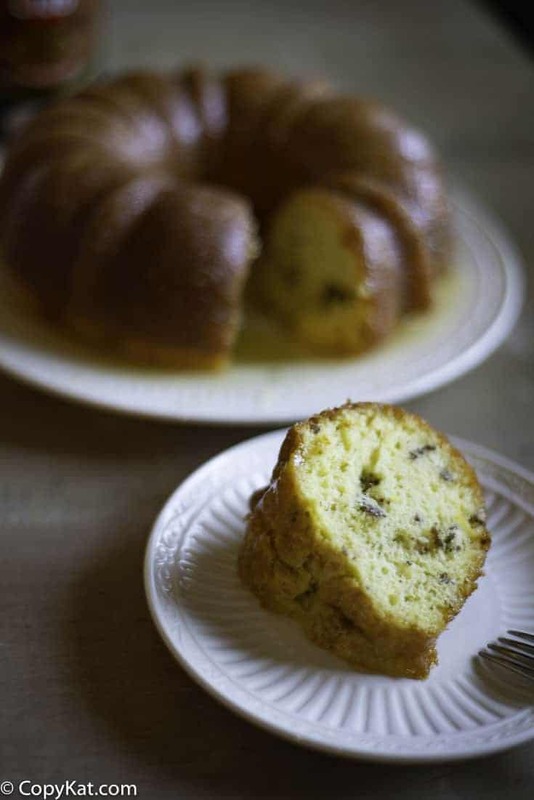 Home » Cake Recipes » Ms. Bessie’s Rum Cake – the longer this sits the better this gets. Ms. Bessie’s Rum Cake – the longer this sits the better this gets. 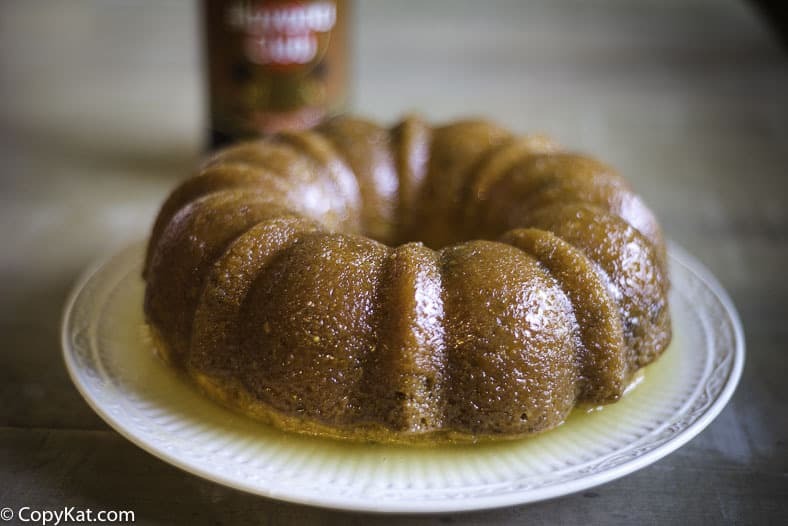 The Ms. Bessie’s Rum Cake is simply the best rum cake you will come across, this recipe comes from a Cajun lady from New Orleans. Have you ever been to the Caribean and tried a sample of those delicious rum cakes that are available in the Carribean? A sweet buttery cake prepared with rum is served with light and flavorful rum glaze that makes this cake extremely moist. Once you try this cake, with the first bite you will be hooked on this cake. You don’t need to travel to get this cake, you can recreate this flavorful cake at home. What type of rum should you use for rum cake? There are a variety of different types of rum available out there. Just like with wine, you want something that is good to drink on its own. Rum that has a sweet taste is best for baking, as the sweetness of the rum adds to something special to the rum cake. Brands that are easy on the pocket, and that pack a lot of flavors are Gosling’s Black Seal, Pusser’s, Coruba, and Bacardi Gold. I personally love the spiced rums like Captian Morgans, Sailor Jerry, I have even used Havana Spiced Rum. All will work. Many commercial cakes are made with less expensive types of rum, and very few of them are made with spiced rums. At home, you can make your homemade rum cake extra special. I like to use a light, or a clear rum for the baking of the cake, and I often use a spiced rum for the glaze that goes on top of the cake. Can you make a rum cake without alcohol? Yes, you can. Is it as good? I think you miss the depth of the flavor. But you can use equal amounts of cream soda if you want a similar experience. Or you can substitute the rum with water, and use rum flavoring. To the cake add 1 1/2 teaspoons of rum flavoring, and be sure to add 1/2 teaspoon of rum flavoring to the glaze. Wow, this is a lot of glaze for this cake. 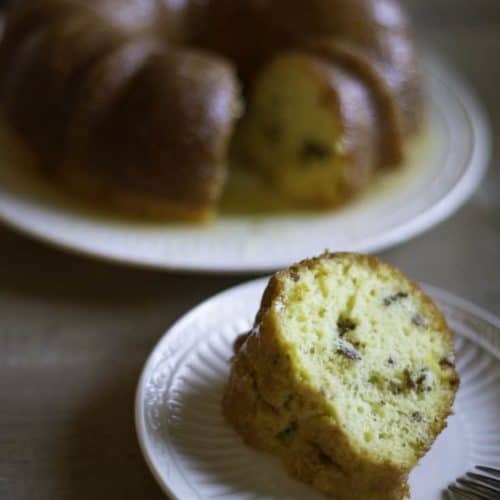 The glaze is extremely generous, if you have tried one of these cake before you will notice they are extremely moist, they are moist with rum. This gives the cake a unique texture that is unlike most cakes you will try. You could cut back on the glaze if you desire. Unlike many cakes, this cake gets better and better if you let it rest a couple of days before serving it. So I like to make this buttery rum cake a couple of days before I want to serve it. Best off all there is no need to add frosting, or exotic toppings to this cake, you can serve it just like it is. 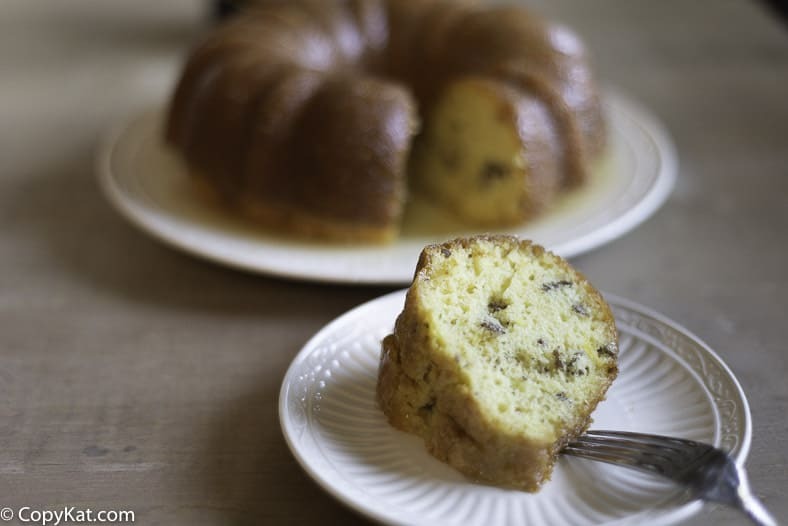 Rum cakes were, or a version of these famous cakes was originally developed in the 18th century. The British brought their fruitcakes to the Carribean, and these would develop from the fruitcakes when local ingredients were used. The warm environment and no refrigeration in the 18th century meant it was natural to use rum to help preserve the precious baked goods. Thanks to all of the sugar trade, these cakes were transported all over the world. The longer this rum cake sits before serving the better it tastes. Cake Directions Sprinkle nuts in a tube pan, place remaining ingredients in large mixer bowl. Blend then beat for 4 minutes at medium speed. Pour into pan, bake at 325 degrees for one hour. (until cake begins to pull away from the pan.) Do not underbake. Prepare glaze Glaze Directions Mix in saucepan except for rum and stir until mixture comes to a boil for 5 minutes, stirring constantly. Stir in the 1/2 cup rum and bring to boil. Spoon warm glaze over the warm cake. I made two cakes. One like the recipe. The other cake with chocolate cake and pudding and apple rum. Both fantastic. Great Cake…it was easy to make and yummy. I am so glad you enjoyed the cake. My mother used to make this recipe and it is soooooo good. It is true the longer it sits the better. This one is good when it ages a bit.